The Dynamic Ebbinghaus takes a classic, static size illusion and transforms it into a dynamic, moving display. A central circle, which stays the same size, appears to change size when it is surrounded by a set of circles that grow and shrink over time. Interestingly, this effect is relatively weak when looking directly at a stationary central circle. But if you look away from the central circle or move your eyes, or if the entire stimulus move across the screen, then the illusory effect is surprisingly strong – at least twice as large as the classic, static Ebbinghaus illusion. One colored image can lead to different color impressions, depending on the colourless luminance profile that is presented on top of the colored image. In all versions of the illusion, the underlying colours are identical. However, the grey scale image that is presented on top of the colored image reinforces the colors that are congruent with the the gray scale image and inhibits incongruent colors. As a result the color impression is very different for the different images. This illusion is a demonstration of how in our brain color and contour information is combined before the eventual perception is determined. This illusion demonstrates that our unconscious ability to lipread is influenced by processes considered idiosyncratic to face perception. It combines two well known effects. The McGurk effect shows that our perception of a heard syllable (‘ba’) is unconsciously influenced by a synchronized lipread syllable (‘va’) so we report “hearing” what we see (‘va’). The Margaret Thatcher effect shows that the context of a (near) upright face enhances our sensitivity to facial distortions (inverted mouth). In the Rotating McThatcher Illusion, the face rotates around an inverted mouth. When the face is near upright, the influence of the lipread syllable is weakened. This is an anamorphic illusion. It begins as a normal photograph and then is tilted backwards and forwards to create opposite vanishing points. The tilting distorts the shape of the head and facial features to create the illusion of an actual age progression and regression. 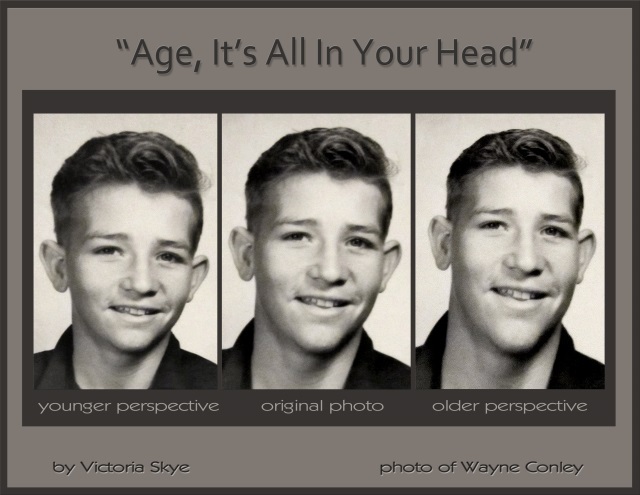 For the age progression the top half of the head narrows, and the bottom half expands creating a more mature look. For the age regression, the opposite happens. The head and ears enlarge and the lower face narrows giving them a smaller nose, chin and neck, which results in a realistic childlike appearance. In the world of optical illusions, the terms ‘autokinetic illusion’ or ‘apparent motion’ are used to describe the convincing appearance of movement in a picture that the viewer knows to be static. We would like to present here a new kind of autokinetic illusions involving expansive motion created by/with parallel arrangements of cuspidate (needle-shaped) lines. Hybrid motion consists of an array of rectangles that change color in time (for instance, from yellow to blue to yellow to blue, etc.). The rectangles always remain in the same place, but the array appears to move to the left when the observer is close to the monitor and appears to move to the right when the observer is far away from the monitor. 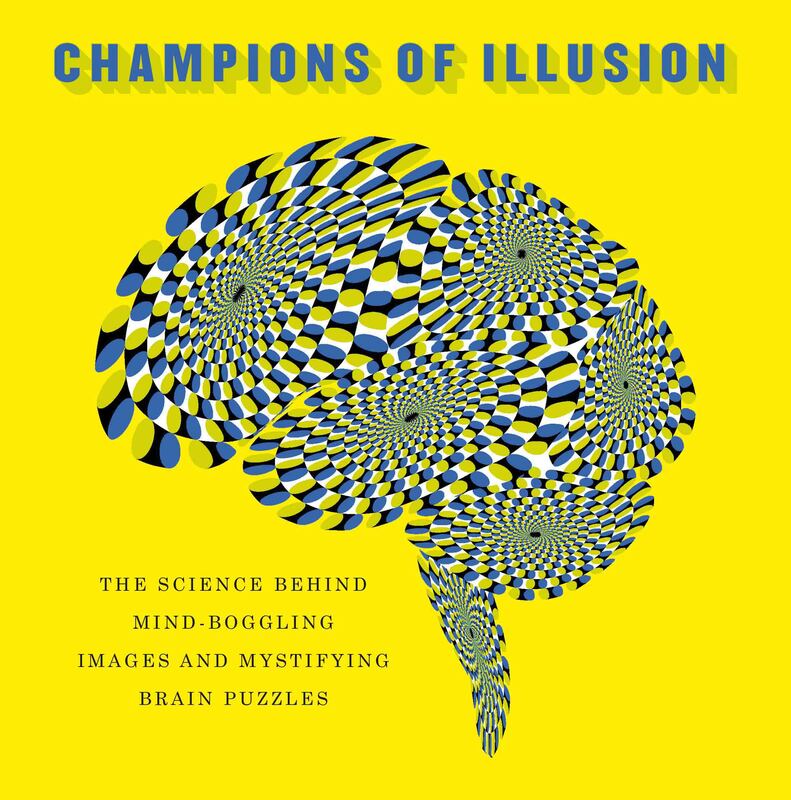 The illusion is based on vision science research concerning how the brain constructs motion. In hybrid motion, the brain processes that respond to coarse-scale information and brain processes that respond to fine-scale information report motion in different directions. 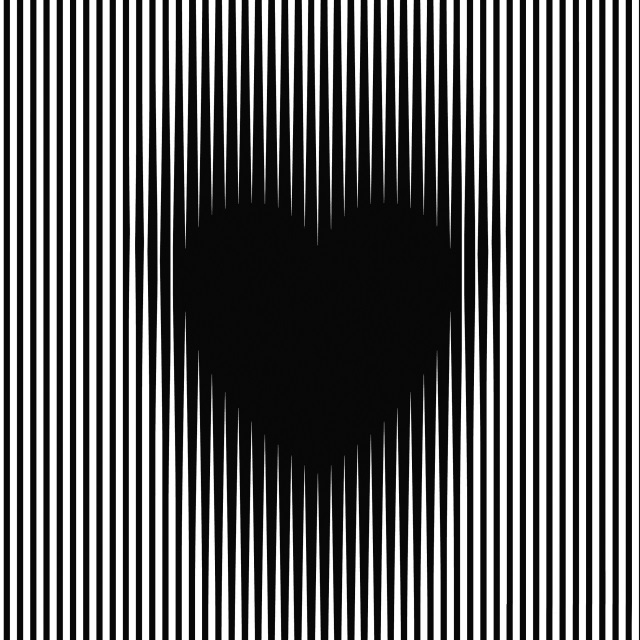 In this illusion a rectangle moving at a constant speed in front of stripes generates apparent reverse motion. This apparent motion is similar to the action of a neck when the pigeon walks. Well-known kickback illusion also appears to move reversely in a moment. For the case of the kickback illusion, the width of stripes is thin. However, for the case of the pigeon-neck illusion, the width of stripes is thicker. Thus the conditions between them are different, and so the pigeon-neck illusion is new. Infinite Maze is a Pac-man-inspired video game for Android that is built around an optical illusion. In this game, there is an ‘infinite’ maze, which looks like a regular Pac-man maze, but is randomly re-generated with every move. Yet many players fail to notice this! This ‘change blindness’ is entirely due to the perspective that is used in the game: The image is centered on Pac-man, and the maze scrolls across the display as Pac-man moves. If the game switches to a static perspective (i.e. Pac-man moves across a static maze), the maze changes are abundantly obvious. In the movie the test stimuli were two transparently superimposed, low-contrast greyscale photos. We used one photo of Albert Einstein and one of Marilyn Monroe. Two identical Einstein+Marilyn photos were set up side by side with a fixation point between them; each looked like a confused jumble, and neither face could be seen clearly. The adapting stimuli were high-contrast flickering versions of the two single components: Einstein on the left and Marilyn on the right. Result: Adaptation made Einstein fade out subjectively from the left- hand Einstein+Marilyn, which now looked like Marilyn. Conversely, Marilyn subjectively faded out from the Einstein+Marilyn on the right, which now looked like Einstein. This adaptation selectively picked out (and degraded) the test photo with which it was congruent, and had little effect on the other, superimposed but noncongruent test photo.